If you can’t sell it by yourself on eBay—and you probably can’t unless it is almost new—many Goodwill outlets will take these, wipe the hard drives clean and re-use or recycle them in the United States (they will not send them to India or China). 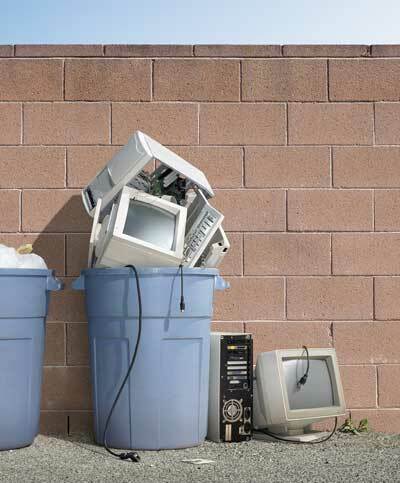 Most Goodwill branches participate with Dell in a national program to re-use and recycle safely. See www.goodwill.org. The National Cristina Foundation (in all fifty states) connects computer donors with those who can’t afford them. See www.cristina.org. Manufacturers like H-P, Sony, Toshiba, Dell, and Best Buy have trade-in programs—they take any brand of computer and give credit on a new one of theirs. Check their websites for information on trade-ins. If you’ve inherited a houseful of Stuff, you’ve certainly inherited an old television or two. Or three. Or four. The real problem with the disposal of electronics is with televisions. These have high levels of contaminants, heavy metals that are dangerous and can’t be easily discarded in a landfill. New flat-screen TVs are better, but you are not likely to come across those in Grandpa’s house. Each state has its own regulatory provisions for the disposal of televisions. Some nonprofits aren’t equipped to do what is legally required and so can’t accept them. Some can. Call your local Goodwill or Salvation Army and ask if they will take old televisions. Even old televisions that no one wants may have scrap value for them. The average house has 24 electronic Items–What will you do with them? Some people refer to this Stuff as e-waste. 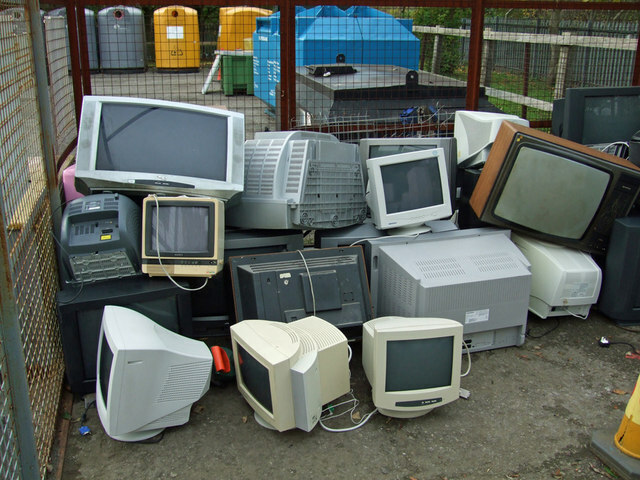 Old computers, printers, monitors, televisions, mobile phones, and other consumer electronics may contain toxic materials like mercury, lead, and cadmium that should not (and cannot legally) be discarded in the local landfill, yet Americans toss about two million tons of electronics each year. If you inherit items of this nature—a highly likely scenario because, according to the EPA, the average American household has 24 electronic products—and you don’t want them yourself, you will have to dispose of them correctly. How you do this depends of where you live. For information on charities and recyclers in each state, see www.epa.gov/epawaste/conserve/materials/ecycling/index.htm or www.electronicstakeback.com/how-to-recycle-electronics/. A dealer in top-quality, used furniture who often buys from estate sales summed it up, “People need to understand the bad news. New furniture loses about 90% of its value when it leaves the store. Something you paid $1,000 for several years ago, even if its in great condition, is worth about $100 now. Exceptions are old Kittinger, Baker, or Suter pieces, reproductions made in the middle decades of the twentieth century. Those are worth more because they were virtually hand-made and nothing is being made like that any longer.” Furniture made in the twentieth century by companies using traditional, handcrafted techniques will usually sell well in the region where their reputation lingers. Companies like Suter, Stickley, Henkel Harris, Hitchcock, Biggs, Kindel, Karges, and others made—or still make—high quality goods that are not easily found in today’s market of cheap imports. A local name increases a piece’s value in that area. Auctioneers say that traditional, middle-class furniture has fallen in value since the economy turned south in 2008 and is now fetching half what it did before that date. The best-way, best-price place to sell used furniture is probably an estate sale rather than piece by piece on Craigslist, although funky pieces from the 1950s, ‘60s, and ‘70s can appeal to the younger crowd when sold that way. The truth is that most furniture, aside from antiques, is outdated and may not worth trying to sell yourself. If it came from the ‘70s, ‘80s, or ‘90s, give it away. Goodwill might be able to get $20 for that upholstered chair. If you decide to sell yourself, consider www.craigslist.com where the buyer will probably be local and be able to pick up the piece. Furniture has its fads too. One dealer said that Shaker chairs he sold a couple decades ago for $8,000 might bring $800 today. 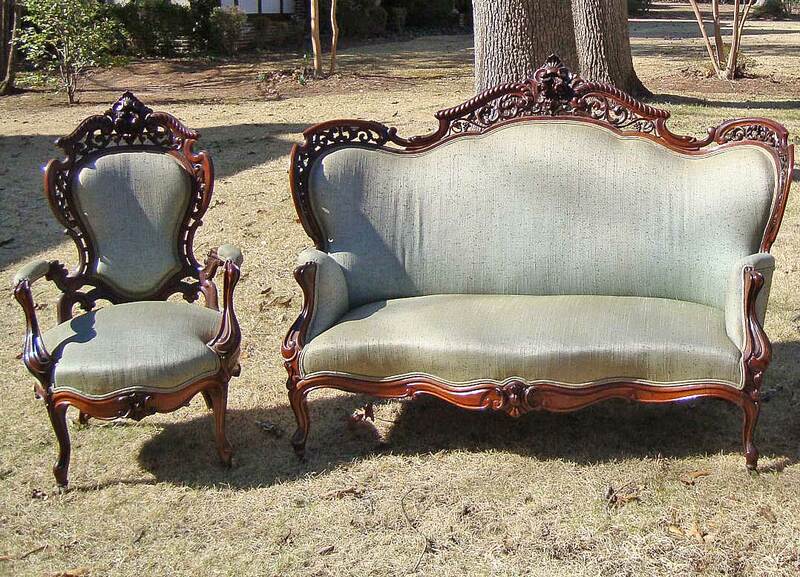 Wing chairs, all the rage for colonial revival decorating schemes, are slow to sell today. 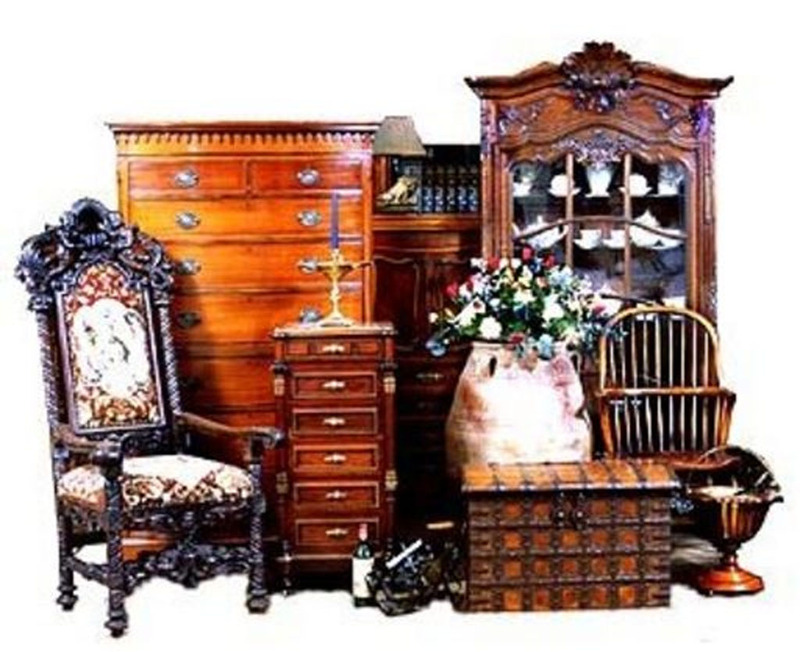 Victorian furniture, with its fussy and ornate styling, appeals to few people and almost no young people, who are the ones most likely to be in the market for furniture. Still, it may be worth your trouble to photograph it and inquire at some reputable regional auction houses. Shipping costs may eat up any profit you make, so local buyers who can pick up at your house are preferable. Old wooden furniture that has been refinished or painted is worth far less than it would have been if left alone. But what’s done is done, and sometimes a fresh coat of paint can help sell a wooden chair or table that came to you with a battered or ugly colored coat of paint already on it. In that house full of inherited Stuff, you are certain to come across several pairs of eyeglasses, prescription and magnifying. 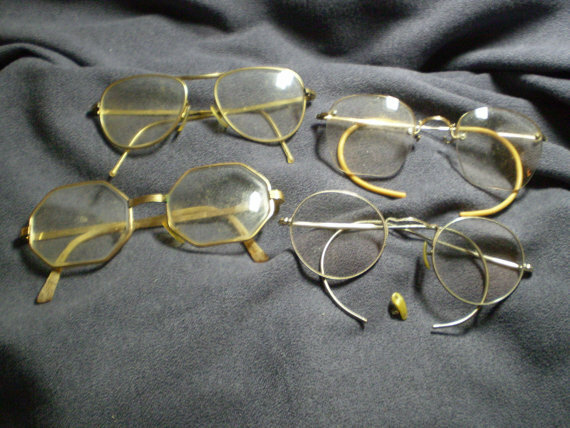 No one seems ever to throw out eyeglasses, even when they are long past use. No matter how old they are or in what condition, drop off prescription eyeglasses at the local Lion’s Club. Look in the phone book or online for their location, or call and ask where to take them; often it is a public library or other easily accessed public place. Or drop them off at the nearest LensCrafters, Pearle Vision, BJ’s Optical, or the optical stores at Sears or Target. Someone in a developing country will appreciate your generosity.